To curb the gap, engineers, health system facilities managers, architectural designers and consultants gathered on Wednesday, Nov. 14th for a presentation to prepare for the new regulations. Led by Kristy Venrick of Array Architects and Tucker Matthews of WSP Engineers, the Arlington, VA-held event offered an in-depth look at understanding and planning spaces for USP 800 compliance. Among those in attendance was Brett Kass, a Senior Project Manager at Kaiser Permanente. His organization is planning, renovating pharmacies, and building labs, so the information presented at the event was very relevant, he explained. 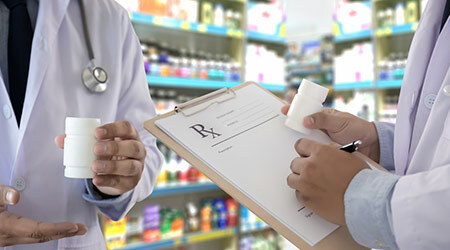 According to Venrick, who is a pharmacy specialist with 18 years’ experience in planning laboratories and pharmacies, USP 800 regulations are the latest of the organization’s codes, but they do not negate the two other chapters requiring compliance: USP 795 and 797. All three are critical compliance areas for compounding pharmacies. Where USP 797 and 795 focus on sterile and non-sterile preparations of medications within a pharmacy, USP 800 applies to all hazardous drug preparations and storage. Among the directives are protocols for the movement of hazardous drugs from the vendor to the compounding area and then to the patient. This includes ISO classifications for both the anterooms and clean rooms through which those drugs move. The ISO regulations mandate particulate concentrations and air change requirements that correlate with the drug type – hazardous or non-hazardous. For example, in the new USP 800 regulations, hazardous drugs must be stored separately from non-hazardous drugs in negative pressure rooms that are externally vented and have a minimum of 12 air changes per hour. Rosenthal says that making sure that facilities are safe, meet codes, and are maintained in terms of infrastructure are key challenges facing Children’s National when it comes to USP 800 compliance. Indeed, ensuring safety for the patients and staff was a recurring theme throughout Venrick’s and Matthews’ presentation. Jeff Haughey, an independent pharmaceutical consultant for regulatory requirements of good manufacturing process and aseptic facilities, concurs that safety is the north star to which the new rules help pharmacies align. With the compliance deadline nearly a year away, Haughey would advise healthcare facilities professionals who are restricted on budget to look to the segregated compounding areas. Venrick and Matthews recommended that facilities managers err on the side of caution when it comes to implementing the new regulations to their fullest extent, including redundancy. She pointed out that even minor adjustments to features like pass-throughs may require approval from the State Board of Pharmacy where your facility is located. Venrick suggests designs for pharmacy spaces begin by taking into consideration equipment sizes. Attendees of the presentation applauded Venrick and Matthews’ delivery of the subject matter. A webinar curated by the presenters that reviews USP 800 in greater depth is available compliments of Array Advisors and Architects. This event was hosted in partnership with the National Capital Region Society of Healthcare Engineers (NCR-SHE), an American Society of Healthcare Engineers (ASHE) affiliate.